Kirsty Young invites writer Sebastian Faulks to choose eight records to take to Radio 4's mythical desert island. 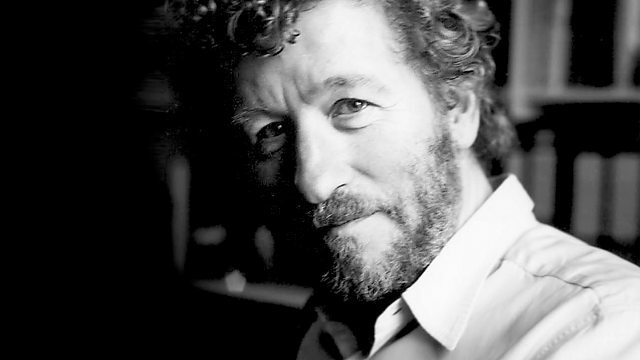 Kirsty Young's castaway this week is the writer Sebastian Faulks. He is best known for his novel Birdsong, which told in shocking detail the misery of life in the Flanders trenches. It was published with little fanfare or glossy advertising and failed to win any major awards - but it became a literary phenomenon and a huge best-seller. He was inspired to write it after visiting the battlefields of the Western Front with some veterans of World War I. One old soldier held onto Sebastian's hand and recalled seeing his friend killed next to him and, for the first time for him, Sebastian says, the war emerged from the history books into real, tangible human experience. He concedes that he still struggles to get to grips with much of life. Writers, he says, are often trying to impose a structure on a world that they find generally baffling. My Time: A Boz Scaggs Anthology (1969-1997). Ravel: Complete Music For Piano Solo. The Beatles: Can’t Buy Me Love/You Can’t Do That. Boum! Charles Trenet The Great French Stars. Faure: Requiem/ Durufle: Requiem – George Guest/ Choir of St. John’s College Cambridge.